OUR INVESTIGATIVE TEAM IS BIGGER THAN EVER IN 2008 ! The Big Picture: "To see beyond the system you have been programmed into since birth"
"open your mind to the possibility of other realities, & the reality of other possibilities". Sightings: 4 UFO Sightings - 1 @ AREA 51 + Chuppa Kitty , Multiple Bigfoot Investigations, Sasquatch vocalizations, response to tree knocking. 1 Ghost sighting, along with several other co-workers. UUFOH Note: "5 & 1 so far" - Dedicated, Involved and Professional Involved with other groups, Top Notch Investigator! Sightings: 2 UFO Sightings - 1 @ AREA 51 + -Chuppa Kitty, Multiple Bigfoot Investigations, footprints found, and response to tree knocking. Member info: Crop Circle/UFO Investigator, Investigated the College Ward Crop Circle in 1998.and the Teton Idaho Cropcircle and 2004 Spanish Fork, Cropcircle, an Ancient History researcher:> Also, I own and operate an Auto Glass co. here in Kanab. Equipment: telescope, search light, camera, and camcorder. Member info: Ancient History Researcher. I agree with Zechoria Sitchin's theories. I do believe there was and possibly still is life on Mars. a Natural Empath with some Telepathic abilities. studying UFOs since 1996, Investigated the College Ward Crop Circle in 1998. Studies the Mystical Arts. -Rich and I own and operate "Purple Sage Soaps" and "A & R Auto Glass" here in Kanab.
" Definitely Adding the Female perspective to the group !" Member info: a Utah Former Emergency Medical Technician. Current National Guardsman 21-B and currently employed as a Community Enforcer. Beau has seen numerous UFOs and has investigated & experienced many ghosty encounters, one being a physical attack by an unseen enity. Beau is an experience hunter. Trained observer and one of our best members. Beau is interested in Sasquatch, and has been on 2 forays with Mark looking for sign in an area with many bigfoot reports. WE ARE PROUD TO HAVE HIM AS ASST DIRECTOR OF UUFOH ! For his continuing support and efforts into researching various phenomenon in Utah. Inquiries into UFO investigations, ongoing contact and cooperation with other organizations. Keep up the good work! Have programmed flight paths on a large screen display for Air Force tests over the Wendover Proving Grounds. Equipment: 35mm camera. tripod, 35mm negative scanner, 35mm photo enlarger- Will obtain additional equipment as needed. Visitations: Was abducted in 1976 while driving across southern Idaho. Goal: I would like to plot the directions of the UFO sightings. This is to see if it is possible to identify any patterns showing where they are coming from or going to. UUFOH Note: Involved, and does impressive professional work, exelent photographer, starting his own website on the UFO subject. Obtained footage of the 8/01/02 UFO Blimp from the KSL News Archives, Was guest speaker at our Dec. 2002 meeting, A Very valuable member! UUFOH DATA SPECIALIST - "WEB INTELLIGENCE"
Member info: Worked in chemistry at the S.U.U. Until I got disabled from "ulcerative colitis"
Equipment: unfortunately when your disabled, you go broke. I have a camera for daytime but it's not that good of one. I have been drooling over a digital video camera to buy, but can't afford it, maybe someday huh? Sightings: 2+ I have had some sightings of UFO's -Some seemed more important than others, so I'm not sure. "I WANT TO KNOW ALL ABOUT IT, and the "truth about it"!!! It even might be a bigger story than the Earth has ever known about where we came from etc." UUFOH Note: Involved member, one of the best, we appreciate Alan's hard work and enthusiasm, A data specialist for sure! Experience: Amateur "Champ watch"on lake Champlain Vt,my home turf. Equipment: 1 JVC VHS video camera,a Minolta 35mm with a 200mm zoom lens(needs light meter repaired)and a pair of Tasco 8 by 40 binocs,also a backup pair of 8 by 21. Why I wanted to Join: "To help the UUFOH gather so much evidence of the paranormal, science can no longer ignore it." Member info: I am Director of Operations for a Computer Company here in Salt Lake City and a Volunteer EMT-B. 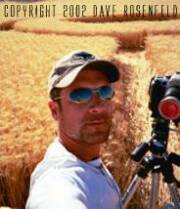 Equipment: I drive a Ford Expedition and have a Video cam corder and access to additional photography equipment. Experience: I grew up in Wyoming, where I had several sightings as a kid. 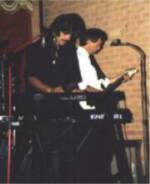 I played sports with Lyle Higdon, son of the infamous Carl Higdon, who abducted by a UFO. For the most meeting attendance for a new member! & for his support and commitment to UUFOH. called techwear. I'm also saving up to go back to school in California where I'll be studying to become a Special Effects Make-up Artist for the film industry. My talents and hobbies include: Art, inventing, X-game sports, watching for UFO's and Independent film. Equipment: Camcorder, Digital Pencam, Binoculars, Camera. Experience: 5 UFO sightings, several paranormal/ spiritual experiences, intuitive. Why I want to Join: I believe the truth is out there! I would like to spend some of my time helping research and sight UFO activity within our state. I am also looking to be inspired while involved with the UUFOH team in several ways including ideas for documentary/ short- Independent films about witnesses and their UFO/Alien encounters. UUFOH Note: Ryan is a regularly involved member and is building his status with UUFOH quickly! Ryan is the mascot maker, special effect artist for UUFOH. Ryan's video (UFO Capital Reef) has a 10 sec spot that is quite impressive.SINCE joining UUFOH this video was shown on FOX 13 News. Supporters and Donations are welcome and Needed ! BECOME A SPONSOR FOR UUFOH ! Keep your contact information current and updated! If we cannot contact you and you havent contacted us with updated information then you will be removed from our members list! SUBMIT YOUR INVESTIGATION REPORTS, ARTICLES, UPDATES, FOLLOW-UPS, SKYWATCH REPORTS, NEWS, IDEAS, ETC. Member info: Student. Researcher, Photography student, Field Asst. Why I want to Join: It sounds like a great group, with friendly new people to meet. Plus, I've always been interested in UFO's, ghosts, and anything else paranormal ever since I was a kid. It will be great to work with people who are interested in the truth, as I am. Comment: I think UUFOH Rocks ! UUFOH note: Misty is a very involved member, Now a real regular, Involved with many members as well as SLC MUFON, Has accomplished field recons, and follow ups. Make's great Alien cookies! Equipment: 35 mm Camera w/fixed lens. Canon Digital 8 Video camera. Sightings: Shooting stars is about I can remember seeing. I haven't really tried to see anything but I do believe that we are not alone out there. The amount of Information on this site is mind blowing! Why I want to Join: Well David, because you are my son & I want to support you in your beliefs. I also believe that there is something out there & the last people to place my faith in about it is my own government. UUFOH Note: 'Alien Dad' is indeed welcomed by his son UUFOH Director Alien Dave , Don is a regular at meetings and is interested in the UFO subject. Everyone loves Alien Dad! Why I want to Join: I'm very interested in UFO sightings, and I would like to be a part of a organized group. I am very perspective and feel I could help. Has knowledge and contacts that UUFOH is looking for. Very pleased to have her on our team. Keep up the good work! Experience: Paranormal investigations with Utah Ghost Hunter's Society and Utah Ghost Organization. Investigated Bigfoot sightings in South Weber, North Ogden, Placerville and Georgetown, California. Talents: 24/7 computer geek, communication and public relations skills, photography, and have developed great investigative skills from previous ghost and bigfoot investigations. that of a commercial airliner. Aircraft flew directly over my home, maybe 500-800 feet in altitude. No sound, flew very slowly compared to conventional aircraft. I spent most of my life near the south gate of Hill AFB, so this was nothing I had every seen before. Kind of resembled the SR-71 without wings. Black in color, no noticeable lights flashing. Stood up to get a better look and it disappeared. Second sighting was on January 21,2002, about 8 am, during the Winter Olympics. I work in SLC, adjacent to the parking lot that was used as the Olympic Medals Plaza. I was driving East bound on North Temple when an extremely bright object caught my eye over the Salt Lake City foothills. I observed the object stay stationary as I traveled from North Temple and Redwood Road, all the way until I was at my building at North Temple and 200 W., approximately 5 minutes. I then went to the 4th floor of my building to see if I could still see the object, and it was in the same place almost 20 minutes after I first sited it. I did not see it move or change position, but it all of the sudden vanished. Supporting Evidence - No cameras were available to me to take pictures of either case. The Winter Olympic sighting has been documented by others, but at different times of the day. Why I want to Join: I have read and studied the subjects of UFOs, Bigfoot and ghosts since I was 6 years old. 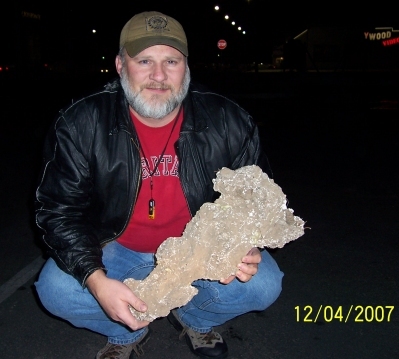 I have been an investigator of Bigfoot for 20 years, and a ghost investigator for the last 10 years. I have not had the opportunity to pursue my interest and investigative abilities to the UFO phenomena until I found your website. I am actively involved with SETI using multiple computers to evaluate data, and I have recently printed material to join the MUFON organization nationally. I remain open to all possibilities and believe I can contribute years of experience and interest to the group. UUFOH Note: A involved informative, active, and valuable member, Proud to have him on our team. For the steady involvement with others of the UUFOH team, Meeting attendance & continuing commitment to UUFOH a real trooper! For her involvement with the UUFOH Team, Submissions, Updates, Donations, and knowledge on subjects that UUFOH is very interested in. A valuable member indeed! 2003 MEMBER OF THE YEAR! For obtaining a copy of the 2002 UFO Blimp footage from KSL News Archives! for UUFOHFor his courage and devotion in gathering information and helping others with their involvement with the UUFOH Team, Submissions, & Updates. We are proud to have him! Keep up the good work! For his reliable attendance at meetings and his willingness to be more involved. Also for performing follow ups and inquiries into UFO investigations We are proud to have him! A new member of UUFOH Brian already shows a great interest in team activities, is well equipped, and is a welcome addition to the UUFOH Team! Equipment: Olympus 4 Meg Digital Camera. Old Dodge flatbed truck to haul Camping gear and tents. Why I want to Join: I have always thought, that I would be part of an Earth shaking event, and I knew that I would live long enough to see the World change for the better. Comment: The amount of Information on this site is mind blowing! UUFOH Note: Mark is already getting involved at meetings and with observations, a welcomed member! Sightings: I've had a number of sightings. The most memorable was several years ago at a UFO Congress in Laughlin, NV. Around 5pm I photographed a black disc looking north up the Colorado River. The photo came back gold. Later in the evening after the banquet, we're looking over the river and at the full mon when lights appeared on each side of the moon. Who's to say whether they were theirs or ours. It was an impressive sight, tho. Why I want to Join: I want to support Dave's efforts. He already has gained a lot of recognition. Comment I want to get involved with a field ready experienced group! Best UFO Site on the net! Marlee is very supportive of UUFOH. We appreciate everthing she does for the UFO subject in Utah and beyond. Comment: I am looking forward to meeting all of you! UUFOH Note: Rich is already getting very involved at meetings and with the Newsletter, was our guest speaker at the May 2005 UUFOH SLC MUFON Meeting, a welcomed member! 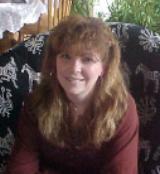 Member info: A native Utahan, April had experiences with different paranormal phenomena since a very early age. She originally belonged to the Utah Ghost Hunter's Society (UGHS, now disbanded) under the Direction of her mentors Chris & Nancy Peterson & Brian Whitesides (also a member of the UUFOH). While learning to investigate hauntings, April took an active interest in learning more about the UFO phenomena as well as Cryptozoology and joined the UUFOH. While belonging to both groups, she decided she wanted to combine her interests and compile a group of experienced and knowledgable investigators to research all things Fortean. April, along with her co-founders James Boley and Brian Whitesides, created UTAH'S UNEXPLAINED Paranormal Research & Assistance Group. While the group accomplished a great deal in the field of Paranormal Research, it was decided to disband UU and pursue other related interests. 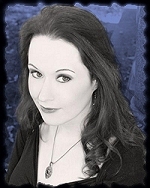 April had been working with www.tapsparamag.com TAPS Paramagazine (published by The Atlantic Paranormal Society and the SciFi Channel's GHOST HUNTERS) for nearly a year when she was offered a position that required a move to the East Coast. She has represented TAPS Paramag and assisted TAPS on several paranormal retreats over the past year and continues to investigate locations all over the country. She met her husband Allen (also an investigator) and four months later married in Johnston, Rhode Island and shortly thereafter relocated to Texas. She is now a contributing staff writer for the publication and is currently working on several publishing projects with other prominent professionals in the field. Shortly after moving, she soon joined www.asup-inc.org The Association for the Study of Unexplained Phenomenon, Inc. (ASUP), a 501(c)(3) non-profit education and research corporation where she was voted Director of Operations and a National Board Member (her husband is also a board member and Director of Field Investigations). April will be traveling to and from Utah to assist the UUFOH on future investigations and still considers the state her home. Equipment: Everything but Thermal Imaging, literally. Handheld IR Thermometer, EMF Meter, Handheld Tape Recorder, 35mm camera as well as a Digital Camera, Free Access to ATV's and a Polaris Ranger. Sightings: Estimated somewhere around 5 separate incidents. Several entities residing in my parent's home where I grew up. I had daily interaction with them for months as well as periods of no known activity. This house is located at the base of American Fork Canyon in Highland, Utah. Chris and Nancy Petersen did an investigation there. The old Lehi Hospital has been a site I have investigated for over a year. I have photos of partial apparitions as well as other anomalies such as strange lights, orbs, etc. Was witness to the 'man in the mirror' incident recorded in october of '04 by Brian Whitesides, also at the Lehi Hospital. Attended the Camp Floyd investigation in October of this year. I have only witnessed one UFO event, but have since been highly interested in learning more. I witnessed three lights shoot up into the sky, increasing in brightness, from the top of a mountain range in Northern Utah. These lights went straight up, stopped, 2 shot off to the right and disappeared and 1 shot off to the left and disappeared. It was shortly after dusk in the fall, about 8 years ago. I was also witness to a strange shriek bellowing down American Fork Canyon from the entrance of the Alpine Loop just over 6 years ago. I was in a parking lot at the Loop entrance, sitting on the hood of my car. Another gentleman was there as well sitting on the hood of HIS car, and we heard this loud groan that turned into a shriek... it sounded like several animals wailing all at once and lasted for about 30 to 40 seconds without a break. The stranger and I quickly got in our vehicles and left the canyon. This was in the daytime, around 2 in the afternoon in the spring. Why I want to Join: I have always held a deep-seeded interest in things deemed 'unexplainable'. I rarely buy into B.S. fed to me through the main stream media, and would like to prove to myself that there is something out there, possibly beyond my realm of understanding. I would love to learn from other members and hopefully be a contributing member on investigations/skywatches. Website The amount of Information on this site is mind blowing! Equipment: Binocs, well used emergency flasher. UUFOH Note: Very involved member, gets out and does the leg work! Top Notch!